shimmering with mystery, in the tradition of Emma Donoghue, Sarah Waters, and Sarah Dunant.â€There is nothing hidden that will not be revealed . . .â€œOn a brisk autumn day in 1686, eighteen-year-old Nella Oortman arrives in Amsterdam to begin a new life as the wife of illustrious merchant trader Johannes Brandt. But her new home, while splendorous, is not welcoming. Johannes is kind yet distant, always locked in his study or at his warehouse officeâ€”leaving Nella alone with his sister, the sharp-tongued and forbidding Marin.But Nellaâ€™s world changes when Johannes presents her with an extraordinary wedding gift: a cabinet-sized replica of their home. To furnish her gift, Nella engages the services of a miniaturistâ€”an elusive and enigmatic artist whose tiny creations mirror their real-life counterparts in eerie and unexpected ways . . .Johannesâ€™ gift helps Nella to pierce the closed world of the Brandt household. But as she uncovers its unusual secrets, she begins to understandâ€”and fearâ€”the escalating dangers that await them all. In this repressively pious society where gold is worshipped second only to God, to be different is a threat to the moral fabric of society, and not even a man as rich as Johannes is safe. Only one person seems to see the fate that awaits them. Is the miniaturist the key to their salvation . 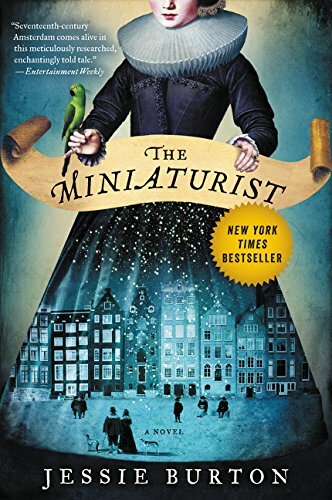 . . or the architect of their destruction?Enchanting, beautiful, and exquisitely suspenseful, The Miniaturist is a magnificent story of love and obsession, betrayal and retribution, appearance and truth.